The Humboldt State University Department of Journalism and Mass Communication just found out a story its investigative reporting students authored for the Journal placed in the Society of Professional Journalists Mark of Excellence Awards for Region 11, meaning it was one of the best pieces of student journalism published in California, Hawaii, Arizona and Nevada last year. 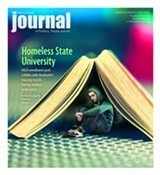 The piece, “Homeless State University,” was the JournaI’s Dec. 9 cover story and the culmination of a semester’s worth of work for department chair and NCJ columnist Marcy Burstiner’s investigative reporting class. 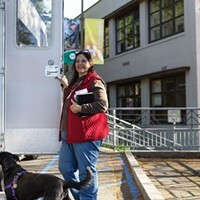 It explored how Humboldt’s housing crunch impacts students, leaving some homeless while trying to get their education. If we do say so ourselves, the piece was fantastic and worthy of some regional — and national — recognition. If you haven’t read it already, we encourage you to go back and read the piece and wish the students well. If they finish first in the April regionals in San Diego, they’ll move on to nationals. No matter how they finish, we’ll take this opportunity to again thank Burstiner and students Sam Armanino (our current rockstar editorial intern), Alexander Badger, Andrew Butler, Brian Cohen, Jessica Ernst, Sarah Fasi, Jonathan Gomez, Ashley Groze, Caitlyn Kaifer, Jen Kelly, Christian Lara, Roxana Moreno, Geneva Peppars, Vanessa Rodriguez and Esther Trevizo for their outstanding work.